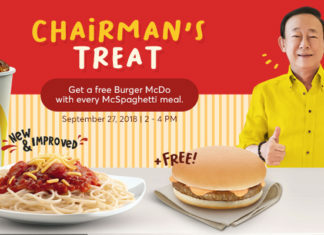 Visit any McDonald's store on September 27 from 2:00-4:00pm and get 1 Burger McDo ala carte for free when you buy 1 McSpaghetti McSaver Meal. 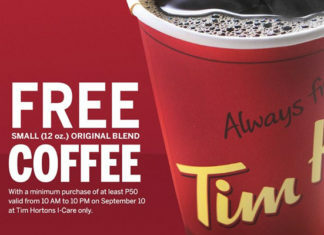 For a minimum purchase of P50, get a FREE Tim Hortons Coffee today (Sept 10) at the newly opened store in I-Care Makati! Tag all September celebrants! 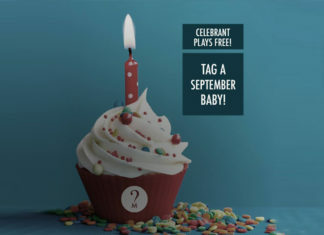 Play for FREE a week before or after your birthday along with a group of 5 other paying players. Lay Bare promos coming your way! 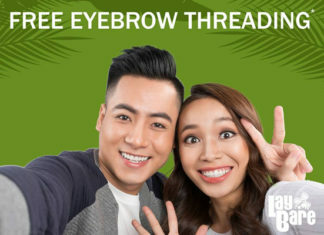 Refer your best guy friend and you get an eyebrow threading for FREE. 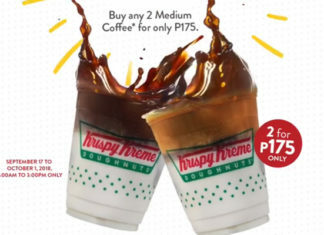 May Kapangalan o Kaapelyido ka ba sa mga Phillippine Heroes? 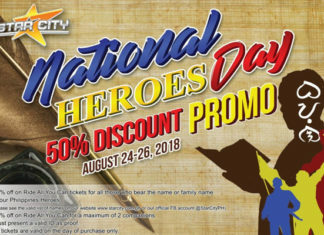 Kung meron, may 50% OFF ka at dalawa mong kasama sa Star City sa darating na August 24-26, 2018! 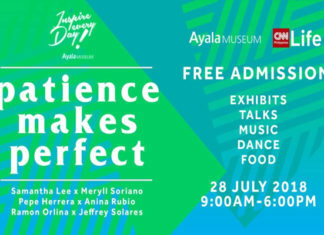 Ayala Museum and CNN Philippines Life present INSPIRE EVERY DAY 2018 happening on July 28. 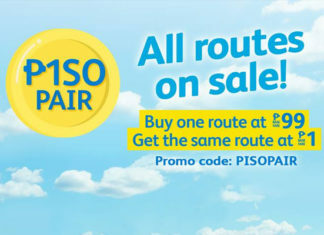 FREE ADMISSION TO ALL GALLERIES and Events. 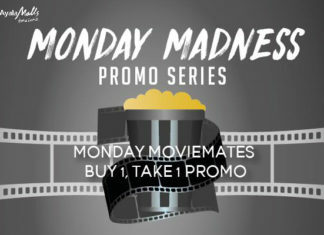 Ayala Malls Vertis North Monday Madness Promo Series: Monday Moviemates is back! 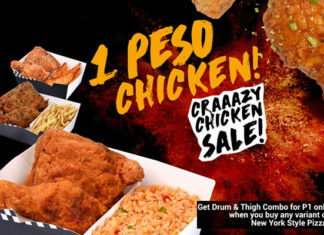 Watch a movie at A-Giant Screen and A-Lux Screens with your officemate, co-worker or loved-one with a buy 1, take 1 deal.